The Netherlands will have zero-subsidy offshore wind by 2022, but it still remains a special case. Vattenfall plans to commission a subsidy-free offshore wind project in 5 years. "Subsidy-free" offshore wind is getting a lot of attention after contracts in Germany and the Netherlands were signed without direct government incentives. However, experts say these zero-subsidy offshore wind farms won't become the norm anytime soon. Swedish developer Vattenfall won a tender to build up to 750 megawatts of offshore wind capacity in the Netherlands over the next five years, split across two adjacent sites 14 miles from the coast. This puts commissioning ahead of the world’s first zero-subsidy offshore wind bids, which were awarded in Germany last year for projects due from 2024 onward. While further zero-subsidy bids are likely in Europe, they will be linked to a very special set of market conditions for now. This opens the "subsidy free" claim up to interpretation. In the case of Germany and the Netherlands, it means no government cash was used to directly support project financing. 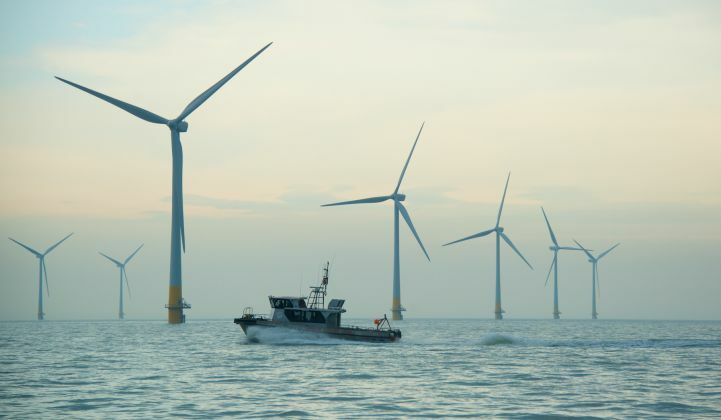 In the case of the Hollandse Kust Zuid 1 and 2 projects, which will be developed through Vattenfall’s Nuon Energy subsidiary, the Dutch government will take care of providing a grid connection. This is “a significant factor,” said Canning. The Dutch government has also put in place a number of other market-strengthening measures. It has been transparent about the future offshore wind capacity volumes that will be offered to developers, for example. It has also committed to introducing a national carbon floor price as part of moves to phase out coal. All this is “helping the business case for offshore wind,” Canning said. Although there are questions about what constitutes a subsidy, Vattenfall is calling the latest projects the "first" subsidy-free offshore wind farms to enter operation in the world, when completed. Gunnar Groebler, Vattenfall’s wind business area senior vice president, added that the zero-subsidy bid was a result of continuous cost-reduction efforts across the offshore wind sector. Capacity factors are also rising. Anholt 1 in Denmark has a capacity factor of 54 percent, said Canning, while the U.K.’s Dudgeon project is at 65 percent. So is Hywind Scotland. This compares to a capacity factor of 37 percent for onshore wind in the U.S.
Support for grid connection, combined with an expected rise in power prices in the coming decades, makes subsidy-free bidding viable for projects commissioning in the Netherlands and Germany from 2022 to 2025, said Guldbrandtsen. That means more subsidy-free bids could be in the cards in the coming months, particularly in the Netherlands. MAKE said the country fast-tracked its zero-subsidy auction after seeing subsidy-free projects emerge in Germany. The Netherlands has two more auctions planned through 2019. The country aims to have 3.5 gigawatts of offshore wind capacity by 2023.